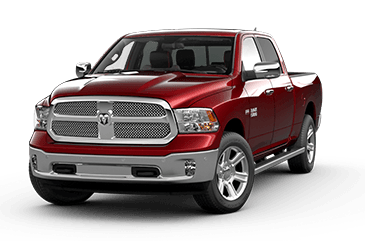 With its legendary HEMI V8 power and impressive capabilities, the Ram 1500 continues to be a smart choice when shopping for a light-duty full-size pickup truck. The Grand Cherokee pairs Jeep's iconic style and off-road capability with exceptional refinement and luxury features. 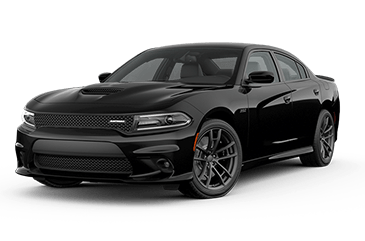 For a powerful full-size sedan with available HEMI V8 power or all-wheel drive, turn to the potent new Dodge Charger, available now at Jim Burke CDJR. 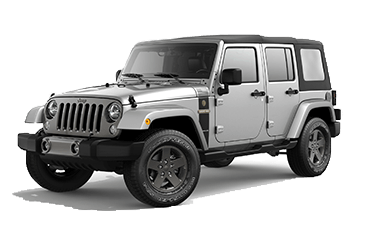 Featuring unmatched off-road prowess, one-of-a-kind style and that exhilarating top-down driving experience, the Jeep Wrangler is in a league of its own. Jim Burke CDJR is proud to offer an extensive selection of new cars, trucks and SUVs to explore. 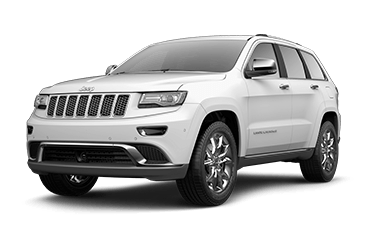 Whether you are shopping for a refined yet rugged new Jeep Grand Cherokee or a luxurious Chrysler 200, we have plenty of choices in stock for you! Make your way over from Fairfield, Hoover, or somewhere else around Jefferson County to get started. Our Birmingham dealership is conveniently located at 1409 5th Ave North, but you can also use our website to shop for a new Chrysler, Dodge, Jeep or Ram now! The choice is yours. Our full-service dealership near Trussville carries a vast array of used cars for sale, all at competitive prices. Turn to us when shopping for a used Ram 1500 or Jeep Wrangler! Our sales team will introduce you to a variety of used car models, trims, options and colors from a variety of makes, ensuring that you find your next vehicle at a great price. Looking to sell your current car when you upgrade? Then consider using our online Value Your Trade form before your visit. Saving money on a new or used car is on everybody’s checklist. At Jim Burke CDJR, we put our customers first by offering thousands of dollars in savings on used cars and new Chrysler, Dodge, Jeep, and RAM models. View our current new car specials and used car deals to get started, and you’ll leave our Birmingham dealership without going over that budget. Our amazing car offers change frequently to match our inventory, so check back regularly for updates. Jim Burke CDJR proudly serves drivers from Fairfield and Trussville at our Birmingham, AL dealership. We encourage local drivers and car buyers to take advantage of our website's many resources. 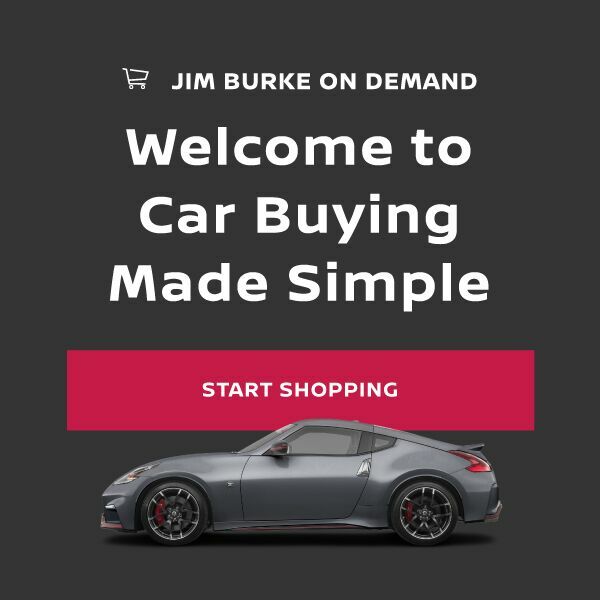 Shop for and research your next car, apply for auto loans and schedule auto service, all without ever leaving your home -- here on the Jim Burke CDJR website! Or simply swing by our Birmingham car dealership at 1409 5th North; to take any of our used cars or new vehicles for a test drive. We serve customers in Birmingham, Hoover, Talladega, Tuscaloosa, and the other areas in and around Jefferson County, AL. Our finance department is here to help you refinance your vehicle or secure a quality auto loan the enables you to drive off in that Jeep Wrangler you've always wanted, so make the short trip from Tuscaloosa now! We specialize in less than perfect credit financing so do not let your lower credit rating dictate what kind of car you can drive. Take charge of your financial future today and fill out our online credit application! We cannot wait to review your details and contact our many lenders on your behalf! Bring your Ram 1500 in for a brake inspection before taking that long road trip to ensure your safety, or get a quick oil change here in our service department! No automotive issue is too big or small for our certified technicians to take care of; you can trust your vehicle to our professional service staff! Experience the difference our professional service team members and competitive prices can make for your repair needs. Book your auto maintenance or repair appointment using our online schedule service form now! Birmingham area drivers who perform at-home auto maintenance or repair can count on the parts department at Jim Burke CDJR for the parts they need for any home auto project. Our parts department features competitive pricing on genuine OEM components and is backed by knowledgeable parts specialists, so contact us and tell us all about the car you are working on and the parts you need. We stock and have access to the entire parts catalog for Chrysler, Dodge, Jeep and Ram vehicles, so if you drive a vehicle of these makes, you can order parts online or by contacting our parts staff today. Find a lower price on a comparable vehicle at another Hoover car dealership? Don’t worry — every vehicle purchased at Jim Burke CDJR comes back by our incredible Price Protection Promise. If a lower price is found at a competing dealership in the Birmingham or Hoover area, we’ll match it or offer you a $500 refund. Deals and prices must be verified online or through another form of advertisement. To learn more about Jim Burke’s price match guarantee, grab your glasses and click here. At Jim Burke Chrysler Dodge Jeep Ram—or CDJR, if you’re a hip millennial—we strive to deliver the very best to each and every one of our customers. If you’re searching for your next new car, are in the market for a quality used SUV, or need some expert auto repairs, look no further than our Birmingham dealership. Start your journey off on the right foot by reviewing our inventory of new and used cars, scheduling a test drive, or viewing our latest special offers. Located at 1409 5th Ave North in Birmingham, Jim Burke CDJR is just a hop, skip, and jump away from the areas of Hoover, Tuscaloosa, and Tarrant, AL. We’re also conveniently open Monday through Saturday to accommodate even the busiest of schedules. Call us at (205) 509-3894 to speak with a member of our car sales staff, and we’ll get you on the road toward savings. We want to make sure that purchasing your next car is just as easy as it is exciting, which is why our knowledgeable auto sales specialists will happily assist you in finding the new vehicle of your dreams. With hundreds of new cars, trucks, SUVs, and minivans to choose from, we’re 99.9% certain that we’ve got what you’re craving. Whether it’s a sleek and powerful Dodge Challenger or a turbocharged Ram 2500 Longhorn, our Birmingham dealership can certainly help you take command of the road. And if we somehow missed out on offering the specific make and model you’re in the mood for, you can use our CarFinder tool to open up a whole new world of automotive possibilities. As a new car dealership serving Birmingham, we proudly carry some of the finest automotive brands in the country: Dodge, Chrysler, Ram, and Jeep. These four makes of vehicle offer exceptional fuel-efficiency, safety, affordability, and style. Not only do we have top-of-the-line offers on new cars, but we’re also the go-to used car dealer in Birmingham for certified pre-owned Chrysler, Jeep, Dodge, and Ram models. Each of our certified used vehicles undergoes a thorough inspection to ensure it is of the highest quality. Additionally, we maintain a large selection of low-priced used cars for sale, including pre-owned vehicles priced under $10k. We invite you to take a look at our inventory of certified pre-owned and used cars for sale in Birmingham. To guarantee you get the most for your money, we will even purchase your old vehicle from you, regardless of its age, make, or mileage! Just request a trade-in estimate or ask one of our sales reps for an appraisal when you come in to shop for a used car. When shopping at Jim Burke CDJR, you’ll find more than just a large selection of new and used cars, trucks, SUVs, and minivans—we are also excited to offer premier financial advice for individuals seeking to finance or lease a vehicle. Simply put, we are your bona fide one-stop shop for affordable auto financing in Birmingham, AL. Wondering if you should buy or lease a car? Read these “Credit FAQs” or let our auto finance team help you weigh the benefits of making a down payment versus the benefits of leasing a new car. Our Auto Finance Department’s representatives are more than happy to answer any questions you may have about the auto financing process. Our auto loan specialists are here to get you the best deal possible on a new or used car loan or CDJR lease. We’ll help you craft a personalized finance plan that works for you, eliminating frustration and saving you valuable time and money. Utilize our loan payment calculator to estimate your monthly car finance payments, then fill out our online finance application to get the process started. You’ll be surprised to find that financing a new car is more affordable than you’d imagined! Customers can also enjoy complete services from our auto repair center, as well as a comprehensive inventory of genuine OEM MOPAR auto parts for Jeep, Chrysler, Dodge, and Ram vehicles. Keep your set of wheels running smoothly with our affordable auto repair services and routine vehicle maintenance solutions. Our professional, certified technicians handle everything from oil changes to tire rotations, and will address your needs promptly and courteously. Plus, you’ll save cash by taking advantage of our monthly service specials, oil change coupons, and CDJR parts deals. Schedule your next auto service or routine maintenance in seconds! Use our online form or, if you prefer to kick it old-school, pick up the phone and call our Birmingham auto repair center at (205) 509-3894 to make an appointment. At Jim Burke Chrysler Jeep Dodge Ram, we make new-car dreams a reality. Join the Jim Burke family today. Our Birmingham car dealership is conveniently located at 1409 5th Ave North, just miles away from Homewood, Tuscaloosa, and Hoover, AL.